Welcome! This site offers residents, visitors, & those interested in learning more about Cornwallis a superior & constantly updated website in which to search & review all the community has to offer. It offers you the ability to search available properties, to review historic sales data, to check available rentals, to list your home for sale & a collection of useful community links & phone numbers. Neighborhood Overview: Cornwallis is a wonderful Cape Coral community, offering unrestricted (direct) sailboat access from a collection of single family homes located on saltwater canals. It is located on the Eastern edge of Southeast Cape Coral (also referred to as Cape Coral’s gold coast), and offers a very convenient location both by car and boat. By land: there is little to no traffic, thanks to the limited access into the neighborhood via Cornwallis Parkway (Pkwy.). By boat: it is a very short run to the open waters of the Caloosahatchee River, and just a short ride down to the open Gulf waters. The neighborhood consists entirely of single family homes, many of which are waterfront on a collection of canals which vary in size from approximately 80 to 200 feet across. You can search available Cornwallis properties using the following links. Unlike many other sites, this one intentionally removes all pending (under contract) listings. Many sites leave them up-- but that outdated info is a disservice to you. Results open in a pop-up window & are constantly updated. Note that some searches will include Everest Pkwy neighborhood results too (due to the MLS system grouping the two areas together) so just reference a map for clarity! I can also provide (upon request) much more details from the Real Estate MLS system. Just give me a call at 239-603-6100. Many links included! Click here to open in a easier to read, new window OR simply scroll down and browse them. Right click on any of the links below to properly view results in a new window or tab. SELLERS: considering selling your Cornwallis home? I welcome the chance to prove that I am the best Realtor to represent you! Since you are already on this site, you’ve already encountered just a bit of the effort I put into marketing (which could include your home). In addition to personally designing & operating this site I have a collection of other, larger websites to maximize exposure of your home (including LeeHouses.com, CapeForeclosures.com and TopWaterfrontDeals.com). This puts your property in front of the 1000’s of targeted potential buyers visiting these pages each week. Of course that’s just one of MANY techniques that will be employed to get the job done. Simply compare one of my listings to that of others and you’ll see the difference (ex: superior photography, virtual tours, carefully thought out descriptions, etc). I am one of the area’s top agents for a reason-- I get the job done and with great results for my clients! Cornwallis is certainly one of my preferred areas to conduct business in, so I welcome your inquiry. Feel free to learn more about me, to request a free home valuation, or if you are ready to see results give me a call at 239-603-6100. Call 239-603-6100 for more details! Sellers: want your home featured? Click here. 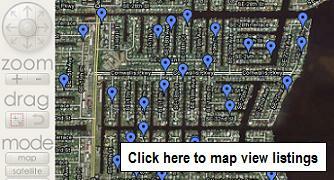 Map search the available neighborhood properties! Video introduction to the neighborhood & surrounding area. 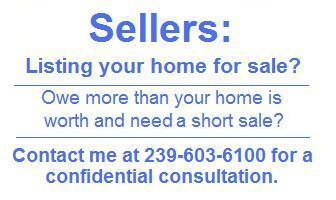 Sellers: looking to list your home for sale? Go here. My name is Dan Starowicz and I am a Realtor with Sand Castle Realty, located at 885 SE 47th Terrace, Suite A, Cape Coral, FL 33904. I specialize in waterfront property (including foreclosures and short sales), including the Everest community. As a local resident for the past 25 years, I can safely say that I know this area and bring my expertise to every transaction! Want proof? As of writing this, I am one of the top 10 buyers agents in the region out of 3400+ agents. In addition to being a Realtor, I have a background with years of experience in the mortgage business and as a hands-on Real Estate Investor too. I’ve personally bought bank owned property, imminent foreclosures, short-sale property, auctioned properties and estate sale homes. I am also very internet savvy, personally designing and running a collection of Lee County’s premiere Real Estate websites (including TopWaterfrontDeals.com). This gives my listings a huge competitive advantage, with international inquiries being a routine part of my business. 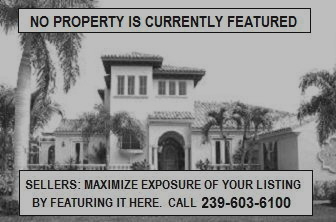 If you are interested in having the best representation in the area, give me a call at 239-603-6100. It is worth noting that ALL Cornwallis neighborhood canals offer direct sailboat access to the Gulf. This is somewhat unique for Cape Coral, whereas many other sections of town fall behind locks and/or bridges. This makes it more sought after, and notably increases the appreciation potential as well. Please note that while it is indeed referred to as unrestricted, direct sailboat access, the Cape Coral bridge will limit sailboat mast height to approximately 55 feet. Adding to the appeal of the Cornwallis neighborhood is it’s riverfront Eastern edge (SE 22nd Place). This includes 29 direct riverfront properties with wonderful, wide river views. The river is over 1.5 miles wide here and an impressive collection of homes make up this riverfront road. 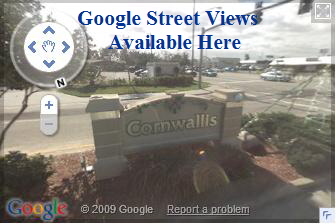 You can search the available Cornwallis properties, including any available riverfront homes in the search section. 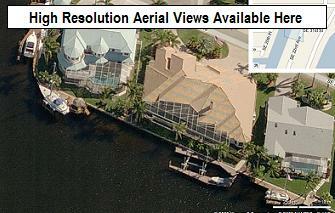 Other sections of Cape Coral (including waterfront) are covered on my larger site, TopWaterfrontDeals.com. Maps, Street Views and aerial images courtesy Google & Microsoft. *Available properties provided by IDX (broker reciprocity).